* Product prices and availability are accurate as of the date/time indicated and are subject to change. Any price and availability information displayed on Amazon.it at the time of purchase will apply to the purchase of this product. This seems to be a Golden chip. Got it running at 4.1ghz with no problems and only a slight increase on the voltage. from completed build My 13 year old daughter built this one. Nice so far, easily overclocked it to 3.9 on all cores. No issues so far. I haven't overclocked yet but will do in the future. from completed build "Mid Papi"
5/5 so far. With the low power pull, and on water it is staying under 60C under load, and I have not experienced any issues at all yet. Ryzen Master software is nice to use and glad they got the temp readouts corrected. No issues at all gaming either. Finally, workstation class performance at an affordable price. If you are not into CPU overclocking buy this - it does it for you automatically as the workload increases. Thank you AMD! Decided to still stay AMD. Compared to my older AMD FX-8320 I'm really enjoying what AMD has brought to the table in this generation of CPUs. Chose this over a comparable Intel i5 because I had hopes of streaming someday, I like multitasking, and as an engineering student, the multi threaded performance can come in handy for simulations. I haven't been able to push my chip past 3.8GHz without getting random crashes here and there while gaming. I suppose I just lost the lottery? At 3.8GHz, though, the chip is stable, runs fairly cool as far as I know, and does everything I need it to flawlessly. 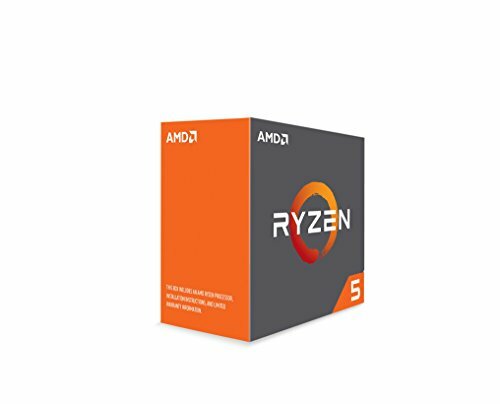 Its a great mid budget CPU and even though people say there are lots of optimization issues, i have yet to see any major ones. In my opinion its better value then any intel i5 and still holds its own against non-overclocked i7s while being way cheeper. This is coming from a long time intel fanboy, but if AMD keeps up this competitive attitude i might switch my favorite side over to the red team.